, a book I had found humorous and lightly diverting but not, well, particularly inspired. This, though, promised to be something much, much better. And boy did it live up to that promise. Dread Nation is set in the Civil War era United States, but the Civil War was interrupted by the zombie apocalypse. The newly “freed” slaves were retasked to fight the zombies while the remaining white folks cloistered themselves safely in walled cities where the dead could not reach them. The main character, Jane, is a student living in a school set up to educate the new zombie fighting force when those few families still living outside the safe walls of Baltimore start to go missing, drawing Jane into the mystery even as she makes plans to escape the school and return to her home in Kentucky. The examination of race relations in the Civil War Era – many issues of which we still deal with today – is stark and exposing without being didactic. The same people who argued for freedom of slaves are, when faced with a terror such as this, not remotely hesitant to force those same people they were trying to save into an even worse form of slavery. Sure, they are given an education, but that education comes at the price of their own lives and freedom. They are not given a choice in the matter – all black children are legally required to join the fight against the zombie plague . . . and give their own bodies for experiments in potential cures as well. It’s still slavery, just given a cloak of respectability and heroism. 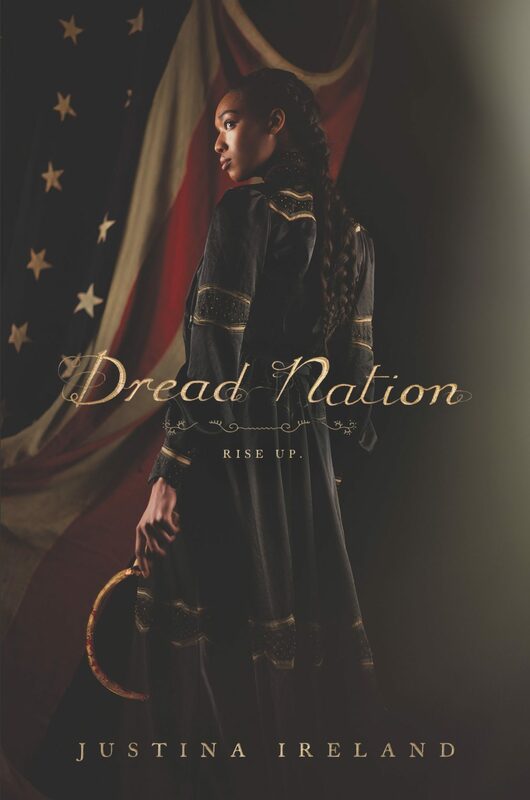 Dread Nation will be coming out on April 3, 2018. It is definitely in the must-read column. It’s one of the best books I’ve read in a long time, and I’ve been plugging it to anyone who would listen since I received my review copy. If you like books with powerful women doing good things, this is definitely a book for you. Previous When is a Writer a Professional instead of a Hobbyist? Sounds really interesting! I’m adding it to my reading list.